Home costa brava destination eco tour holidays travel travel destination travel destinations Enjoy your holiday in Costa Brava!!! Enjoy your holiday in Costa Brava!!! 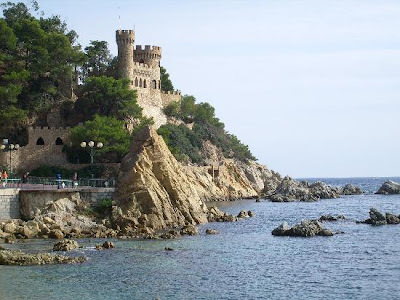 Succession of coves, inlets and headlands fringed by pine forests, beautiful scenery of cliffs overlooking the Mediterranean, that beauty is Costa Brava. Also the Costa Brava that is not called "Coast Wild "by chance it is by fact. Tossa de Mar is a convenient place to reside and rest, its terrain is protected by the promoters. Costa Brava is not only popular for its beauty but it also has a pleasant enchanting climate. This is the paradise for the divers from all over the world. The underwater world of the Medes Island of the coast of Estartit is the heaven for the diver community. Not only the costal sea but also the hinder land of the Costa Brava is enchanting. Sierra de Montseny is classified UNESCO’s World Biosphere Reserve. This is the place you can enjoy hiking and biking. And if you want to offer a cultural break during your stay, go through Figueras, birthplace of Salvador Dali. The Catalan artist has created a museum in his honor in a former municipal theater. Finally, if you miss too much asphalt, you can always make a trip to Girona and its perfectly preserved medieval center. And icing on the cake, the Costa Brava is easily accessible from France by road, rail and air. If you choose this option, you should also opt for Girona airport which is closest to the different destinations nearby. So if you want to spend a sunny holiday in a rather preserved and with wide and varied activities, the Costa Brava is for you!